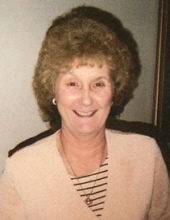 Joyce Young Roberts, age 79 of Pikeville, Kentucky passed away Wednesday, January 23, 2019 at her home. She was owner and operator of Joyce's Place and a member of the Pilgrim Home Old Regular Baptist Church. Joyce was born in Pikeville, Kentucky on April 11, 1939 the daughter of the late Coodler and Elkie Sesco Young. Along with her parents, she was preceded in death by her husband, Hillard Roberts and her companion Bobby Hatler Gillman, one son, Harold Roberts, two brothers, Paul Young Jr. and James Leonard Young and one sister, Lois Tackett. She is survived by three sons, Jimmy Roberts, Bobby W. Gillman (Linda Sue) and Darell Roberts (Alisha) all of Pikeville and two daughters, Teresa Marie King and Dianna Hamm (John) both of Pikeville. She is also survived by twelve Grandchildren, Brianna P. Maynard, Daniel W. Gillman, Brandon K. Gillman, Trenton L. Gillman, Misty D. Fannin, Kayla Adams, Kristi L. Hall, Latisha L. Roberts, Harold E. Roberts, Crystal Hinkle, Kathy L. Morrison and Douglas M. Yates II. To send flowers or a remembrance gift to the family of Joyce Young Roberts, please visit our Tribute Store. "Email Address" would like to share the life celebration of Joyce Young Roberts. Click on the "link" to go to share a favorite memory or leave a condolence message for the family.